Explanation: How might a sunrise appear on Gliese 581c? One artistic guess is shown above. Gliese 581c is the most Earth-like planet yet discovered and lies a mere 20 light-years distant. The central red dwarf is small and redder than our Sun but one of the orbiting planets has recently been discovered to be in the habitable zone where liquid water could exist on its surface. Although this planet is much different from Earth, orbiting much closer than Mercury and containing five times the mass of Earth, it is now a candidate to hold not only oceans but life enabled by the oceans. Were future observations to confirm liquid water, Gliese 581c might become a worthy destination or way station for future interstellar travelers from Earth. 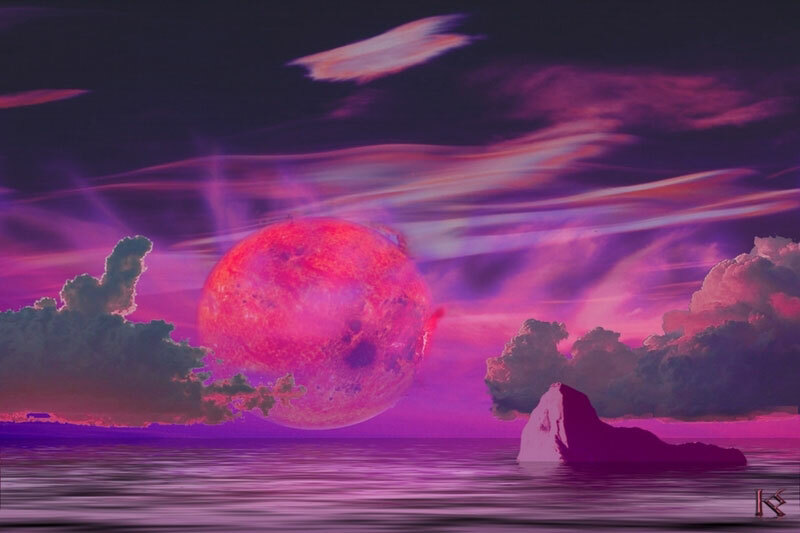 Drawn above in the hypothetical, the red dwarf star Gliese 581 rises through clouds above a calm ocean of its planet Gliese 581c.